Sunday, Oct. 11 at 2 p.m. 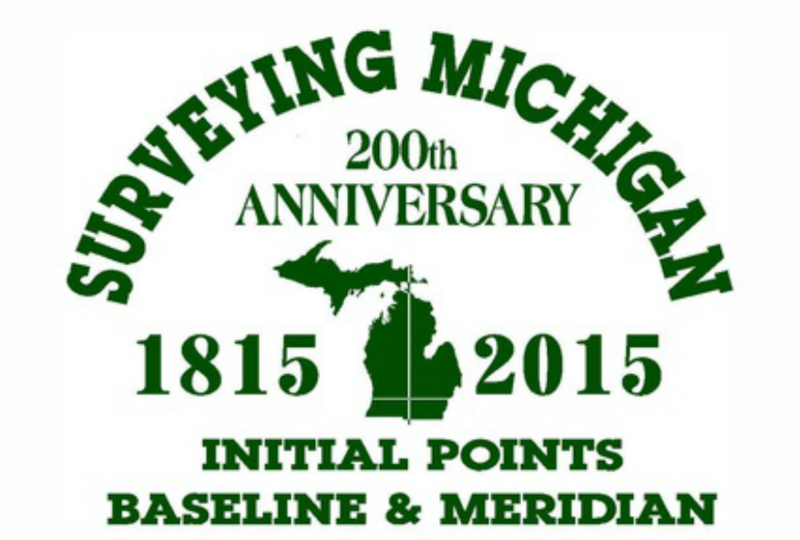 This year marks the 200th anniversary of the setting of the surveying lines for Michigan. In 1785 a public land survey proposed by Thomas Jefferson was an efficient method for the establishment of land boundaries and even today affects all land owners. 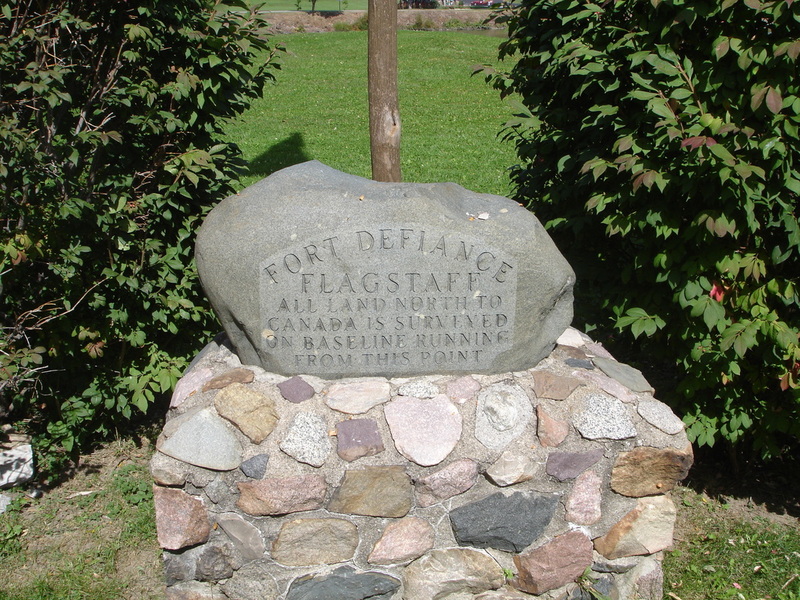 In 1807, the west boundary of the Treaty of Detroit was selected as the line for the Michigan Principal Meridian; the southernmost (and beginning point) of the meridian was set in 1815 at Fort Defiance, Ohio and the northernmost (and final) point was set in 1840 in Sault Ste. Marie. Join us for a bicentennial commemoration of the surveying of Michigan! To celebrate this anniversary, the volunteer group 1815 Surveying Michigan will host a 30-40 minute informative presentation on the history of surveying in Michigan and its relevance for today at Leslie High School on Sunday, Oct. 11 at 2 p.m. 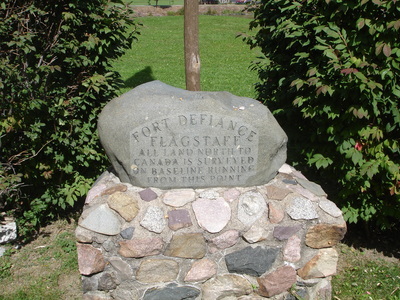 Afterward, attendees will be transported by bus to the Meridian Baseline State Park, where the Meridian and Baseline initial point markers rest. These points are the basis for all land surveys in Michigan and parts of Ohio. Today, property descriptions in Michigan are referenced from these points. 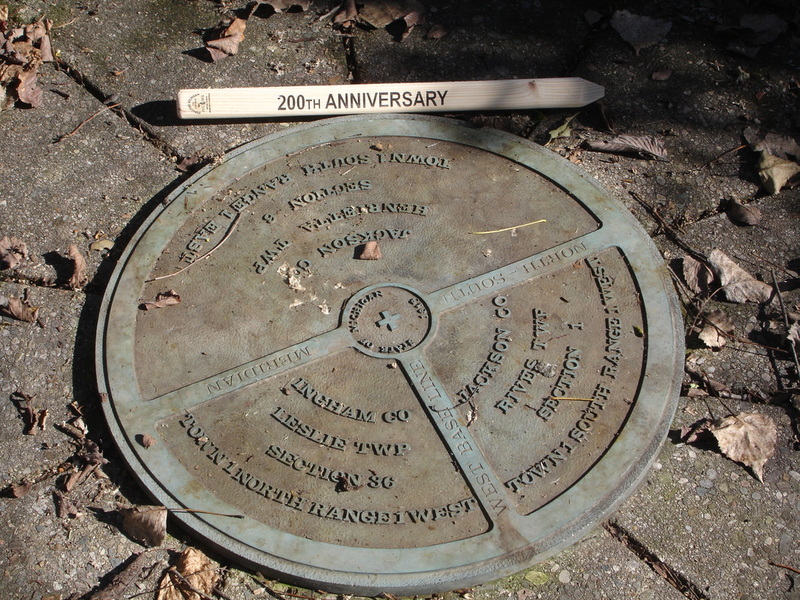 Meridian Baseline State Park, where the markers rest, consists of 86 acres of land (acquired 1960-1970) that was landlocked for many years without public access. 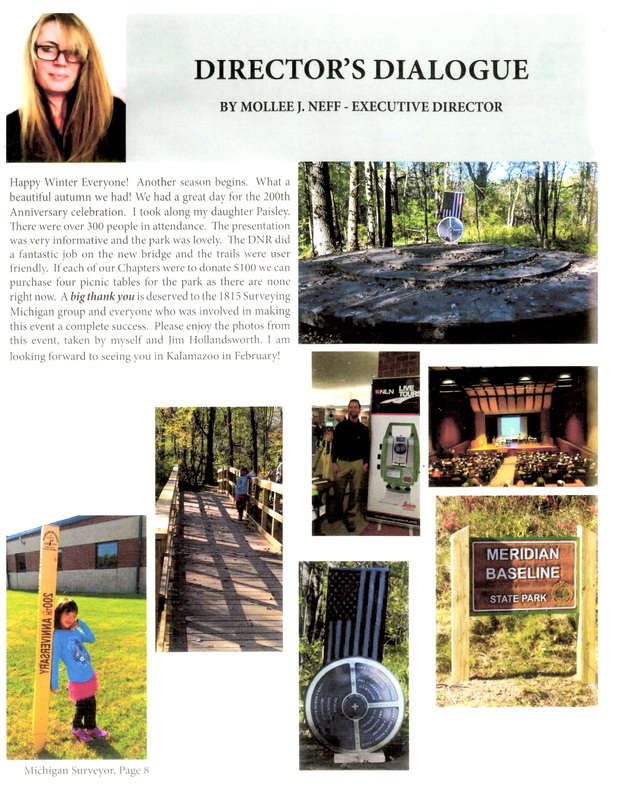 In 2014, the Michigan Department of Natural Resources was able to acquire additional property so that people can access the park from Meridian Road near the Jackson-Ingham County line. 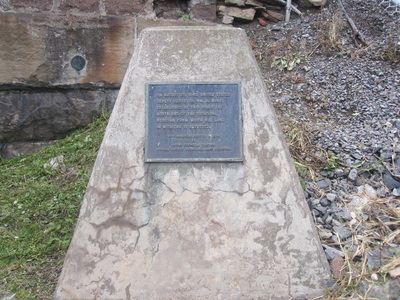 A trail has been cleared and a 10-car parking lot for day visitors has been constructed for those who wish to see this historic landmark and learn about its significance. Attendees of the Oct 11 event are invited to go to the park via provided bus service. A new trail and bridge are expected to be completed but you are encouraged to wear footwear suitable for rough terrain and able to walk a distance of one-half mile each way. The trail is not accessible for wheelchairs or those with physical disabilities at this time. Since the parking lot at Meridian Baseline State Park is very small and safety is paramount, attendees of this commemorative event are asked to ride the buses provided, to and from the Park. Parking along Meridian Road is strongly discouraged and parking inside Meridian Baseline State Park will be reserved for the buses transporting people to and from Leslie High School. 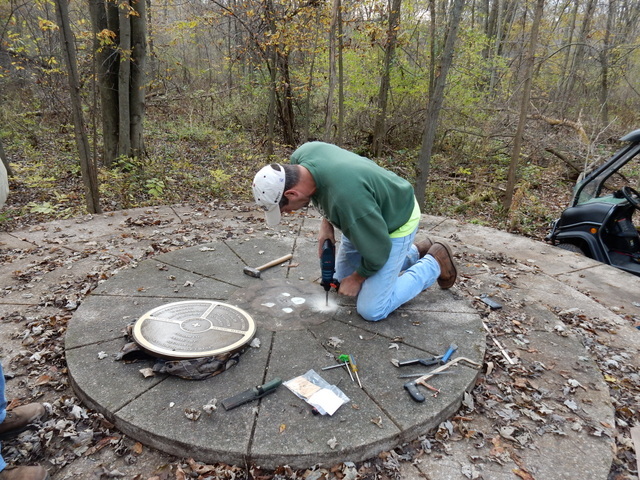 The volunteer group 1815 Surveying Michigan, the Michigan Department of Natural Resources and the Michigan Society of Professional Surveyors have been responsible for development of the park, purchasing a historic marker and replacing a missing Initial Point Marker at Meridian Baseline State Park. In addition, the park and this commemoration has been generously supported by numerous community and professional organizations and individuals within Jackson and Ingham Counties as well as from around the State of Michigan. FOR more information on the 1815 Surveying Michigan project and the commemoration event, please visit www.1815surveyingmichigan.weebly.com; the group’s Facebook page, 1815 Surveying Michigan; or email 1815surveyingmichigan@gmail.com or contact Debby Sears at the Jackson District Library, 517- 788-4087. YOUR DONATION IS NEEDED . TO THE 1815 SUVEYING MICHIGAN PROJECT. JACKSON COUNTY HISTORICAL SOCIETY IS A 501(C3) ORGANIZATION. A Page from Michigan Surveyor.